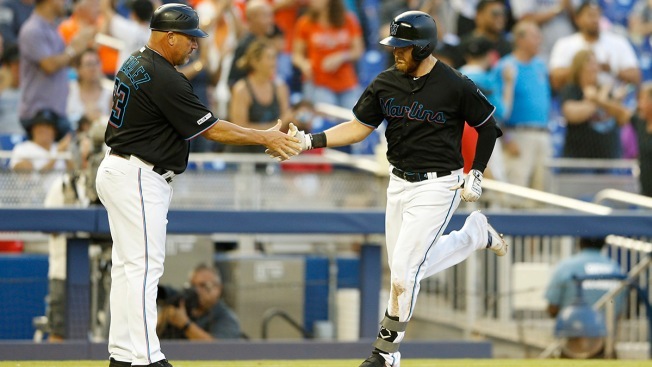 The Miami Marlins will bring the worst record in baseball into a series with the Chicago Cubs beginning on Monday. Miami is 4-12 on the season and it has lost five of the last six games it has played. The Marlins played competitively against the Philadelphia Phillies, after a tough stretch against the Atlanta Braves and Cincinnati Reds. In Sunday's game, Miami was forced to use the bullpen plenty and there could be lingering effects of that in this series. Chicago is 5-9 this season though it has played better as of late. The Cubs began the season with a 1-6 record, due to some rather poor pitching performances. Chicago's lineup and rotation still remain talented however and the Marlins could have a tough challenge in the series. The Cubs are scheduled to send Yu Darvish, Jose Quintana and Cole Hamels to the mound this series. With that tired bullpen in mind, Trevor Richards will get the starting assignment on Monday. Miami could use at least six innings from Richards, which is a number he has reached in all three of his 2019 starts. Miami has lost each of Richards' outings this season, but he has kept them in the game every time. The right-hander is 0-1 with a 2.00 E.R.A in his 18 innings of work. Pablo Lopez has had a rough season, after a spectacular month of spring training. Lopez will look to turn things around in Tuesday's game, when he makes his fourth start of the young season. Lopez is 1-2 with a 6.60 E.R.A and he has allowed 19 hits in his 15 innings of work. The right-hander has done a good job with walks on the season, but will need to reduce the number of hits against him in this one. Sandy Alcantara's season started with a magnificent outing and it has gone downhill ever since. Alcantara is Wednesday's starter and he will bring a 1-1 record into the game. Alcantara allowed six runs in five innings his last time out and saw his E.R.A rise to 4.24 on the season. The 23-year old has walked seven batters in his last nine innings of work. Austin Dean picked up six runs batted in against the Phillies and he is already tied for the team lead in that category. In just three games played, Dean has a double, a home run and three runs scored. The 25-year old should continue to see daily at-bats in Miami's games. Dean began the year in AAA, but earned a promotion with a torrid start to the season. Monday's first pitch is scheduled for 7:10 p.m.